The history of Nigerian women who made a positive difference nationally and internationally cannot be complete without making mention of Professor Dora Akunyili – a doyenee, a beautiful woman and roe model. Prof. Dora Nkem Akunyili is a native of Nanka in Anambra State, she was born on July 14, 1954, in Makurdi, Benue State in Nigeria. This woman of excellence was a brilliant young chap during her primary, secondary and undergraduate years. She became a hospital pharmacist and from there rose to a consultant pharmacologist. 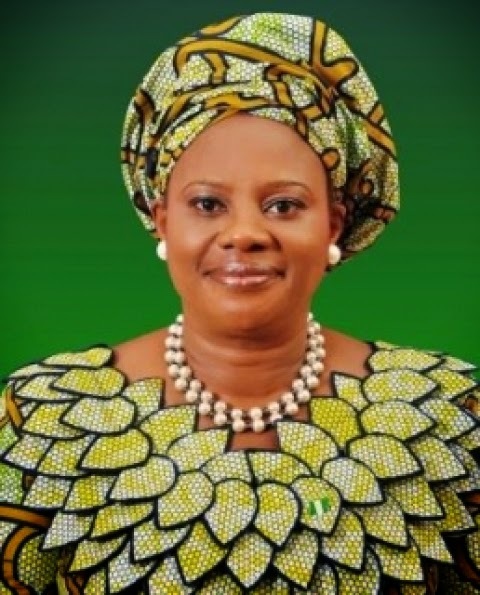 She was once worked as the south- east zonal secretary of Petroleum Special Trust Fund (P.T.F.). She was married to Dr. Chike Akunyili and their marriage is blessed with lovely children. As a scientist and scholar, she has presented papers in numerous local and international events. She is a writer and published author. During her lifetime she supervised PhD and Masters candidates in University of Nigeria Nsukka and Nnamdi Azikiwe University respectively. She also supervised post graduate students in medicine. This lady also was a Chief Examiner in Pharmacology for 3rd MBBS College of Medicine, Abia State University. She was an active member of Pharmaceutical Society of Nigeria. Dora was renowned for her great strides during her tenure as the Director General of the National Agency for Food and Drug Administration and Control (NAFDAC). She also was appointed Minister of Information. She once ran for election as a senator on the platform of All Progressive Grand Alliance (APGA) but she didn’t win. Dora was a woman of substance. During her life time she was honored with many awards and accolades. Some of them include: African Virtuous and Entrepreneurial Women Merit Award. Person of the Year Award. Time Magazine Award. Award for Excellence Professor Dora Nkem Akunyili was an iron lady, a Shero and great woman leader. Her memories will forever remain fresh in our hearts. Her legacies are indelible. We will forever honor and celebrate her. With a heavy heart and tears in our eyes, we at Hinovelty and all Nigerians join the family of Dr. Chike Akunyili to mourn the passing on to glory of our dear mother, sister, aunty, friend, teacher and role model Dora Nkem Akunyili. May her lovely soul enjoy eternal bliss in God’s blossom. Hinovelty: Please can we know you? I am an activational speaker and trainer in the Motivational Speakers Network and the John Maxwell Team, students mentor, youth coach, inspirational gifted writer and editor, a book advocate, and an author of published and unpublished books including, Heroes in Many Trials (written in 2009), The World is a School, Readership Edges, The 17 Dynamic Readers, The Joy of Reading, Stretch To Success, Execute Your Dreams, From Backstage To Platforms, Fame Must Not Kill Your Talents, Entrepreneurship: 12 Ways To Achieve Business Success, and 101 Business Ideas For Young Entrepreneurs and others. I have held positions like Youth President, Campus Ambassador, Chief Editor, Director of Education, and Coordinator of Human Resource Departments in different company, groups, churches, and organizations. I have been featured as guest in many television interviews, radio discussions, newspapers, seminars and talk show programmes. My mission is to inspire, motivate and educate people through books, seminars, workshops, counseling, consulting and coaching. I love innovation, invention, risk taking, networking, writing, swimming, adventure, gospel music, volunteering, selfless service and adding value. Hinovelty: How old are you? Preye: I was born on 26th of February 1987 in Lagos Island Nigeria. Hinovelty: What are you into? Preye: I am into a wide range of services in business and educational consultancy, counseling and career advisory, training and manpower development, mentoring and reading empowerment, publishing, printing and packaging, branding and networking. In every school term, I organize mentoring and reading empowerment programmes to Junior and Senior Secondary Schools whereby I invite successful men and women, lawyers, doctors, bankers, architects, engineers, first class graduates and first class students, CEOs of different business organizations, published authors to mention a few, to motivate the students for self improvement, reading, self activation, achieving personal and academic excellence. Thereafter, I donate readable books to schools library and give books to the students free of charge. The type of books I give to them are, religious books, inspiration books, motivational books, educational books, marketing books, political books, biography books, Autobiography books, scientific books, history books, text books, musical books, comics books, children books and adult books. Hinovelty: When did you start? Preye: I started small, from the very ground to where I am now. I founded my organization on September 2, 2011 and since then I have been administering it with my paid staff. Hinovelty: What’s your driving force? Preye: Firstly, the Holy Spirit of God has always been acknowledged as my greatest inspiration and insight Provider. And He will always be. Secondly, let me say this; selfless service and adding value to lives around and beyond me is my motivation. Profit making, materials and gifts has never and will never be my motivation. I just want to help the youths to be useful in the society. Day after day, I think on how I can help young people to become job and wealth creators instead of only job seekers. I think I have found my own way to be contributing to the stability, development and growth of Nigeria and Africa at large. Hinovelty: What led you into this vision? Preye: I explore to discover this vision that drive me through reading, listening and understanding, observing my environment and attending seminars, conferences and workshops. Right from my childhood my vision has always being helping people to discover and live their dreams, assisting the young people to become committed to lifelong self improvement, helping them develop successful life skills and strategies to be all they can be. Hinovelty: How has it been since you started? Preye: It’s been good! Though there are challenges that I considered as stepping stones to where I dream to be. Firstly, my greatest challenge has always come from people’s misunderstanding of who I am. Some people are just born to look for faults in others. I have been set up, gang up and lied against, downgraded, scorned, enviously criticized, and misunderstood by men on several occasions. Secondly, the facing of tribalism, nepotism, and favoritism that goes against my successful organizing of programmes in some community. Thirdly, lack of funds and sponsorship. The cost of organizing programmes in these schools and communities are not easy to come by. Some of the schools visited so far don’t have a big hall that can accommodate large number of students at a time; public address system in schools visited cannot cover the large crowd and some schools don’t even have public address system (PAS), though it’s my plan to setup my own media department in Edgewise. I need funds to carry out my plans. Another challenge is in feeding the young people that are attending our programmes. I want to at least provide biscuits or snacks and water or drinks or solid food to them which will encourage them to stay focus and listen attentively to our invited guest speakers. So far so good, I have written over 250 partnership and sponsorship letters to several people and organizations but only few replied. And majority of them responded that they can’t help. We don’t have major support financial wise. The only people who have volunteer and assisted us with their books are some few authors and organizations from Nigeria, Ghana and USA. Hinovelty: Are there people you are grateful to for the success of your vision thus far? Preye: Yes of cause. They are very many them. I will like to thank Mr. Richard Mammah (Editor-in-Chief/MD of Sunbird African Media), Mr. Emmanuel Okoro (Founder/President of Booktent Resources), and my team members who are also working hard to see the dream come through are my vice president Opeyemi Adenuga, Director of Mobilization and Strategy Philip Okia, National Publicity Relation Officer Jerry Apiakise Evah, Acting Secretary Oscar Japhat, Facebook Page Manager Akinyemi Shokey, Graphic Manager Muyiwa Shodipe Abiodun, Director of Research and Documentation Reginald Dokubo, Website Manager Bamidele Aijejina, Charles Mensah (Director of Edgewise Ghana Chapter), Knishna yedshikar (Director of Edgewise India Chapter) and Donatella Zito (Director of Edgewise Italy Chapter). Thanks to all of them for their support, courage and encouragement. Special thanks to all my fans too. More so, let me use the opportunity to specially thank my sweet mother Mrs. Esan-ere Tambou for her ceaseless prayers, unexplainable support and encouragement. Hinovelty: What’s your philosophy in life? Preye: It is God who gives power for men to succeed not experience or human or self. We can’t judge him for anything. More so, we can’t keep judging people by ‘only’ with our own experience of them and by what others are saying about them, we are human not God and life is too full of ups and downs to be doing that. Hinovelty: Who are your role models? Preye:I have many mentors and models but this I respect most are world renowned leadership expert John Calvin Maxwell, Pastor Enoch Adejare Adeboye (General Overseer of The Redeemed Christian Church of God) and Mr. Kolawole Owolabi (Founder and CEO of Pragmatic Educational Press). Hinovelty: What’s the one thing you want people to know you for? Preye: I want to be known as a difference maker, history breaker and positive influencer. Hinovelty: If you are asked to solve one problem in Nigeria, what will that be? Preye: It will be Youth Unemployment. Hinovelty: In your next world, which country will you like to be a citizen of and why? Preye: Is Nigeria of cause? I love my country. This is where I belong. Nigeria will be my country whether in this world or the next. God made me a citizen of this country to solve some challenging problem like youth unemployment, bad reading culture, inequality and ageism. Hinovelty: Where do you see yourself in the next 5 years? Preye: I see myself as becoming more skilled, more efficient person, a peak performer, problem solver and make my organization The Edgewise Company as one of the top organization in Africa. I see myself building schools, business organizations, professional and educational training centers, real estates, and employing people. Hinovelty: What’s your advice to other youths? Preye: My advice to other young people is that today, I encourage you to reach high for the stars, throw of the bowlines, sail away from the safe harbor, catch the trade winds of your sails, explore, discover, start small but dream big, go confidently in the direction of your dreams and live the life you’ve imagined. See you at the top. God bless Nigeria. God bless Africa. Preye Tambou is making a positive difference and we encourage all and sundry to support him. We at Hinovelty, will keep supporting him and others making positive contributions in different communities. We are living in an ever-evolving world. In this time of life, people are being bombarded with information’s from the media, family and friends. One must be very careful of what he or she gives ears to because influence works. What we read, hear or who we associate with influences our lives. 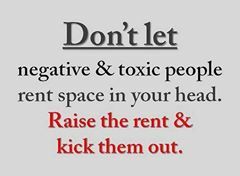 Today, we at Hinovelty advice that you stop associating with negative people because they will drag you down to their level. This does not mean you should not be realistic. Be careful of the people you associate with for your network determines your networth.